In August 1956, a drone went rogue over Southern California, threatening cities, including Los Angeles. In its aftermath, over 1,000 acres were destroyed, forests and scrubland were set ablaze while homes and property were damaged. But it wasn’t because of the drone. With Cold War tensions on the rise and everyone fearing an invasion of the Red Menace, the US Navy began research on surface-to-air and air-to-air missiles. 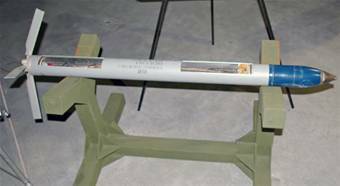 To test those missiles, they’d launch remote-controlled planes (drones) into the sky for target practice, mostly from the Naval Air Station Point Mugu in Ventura County. 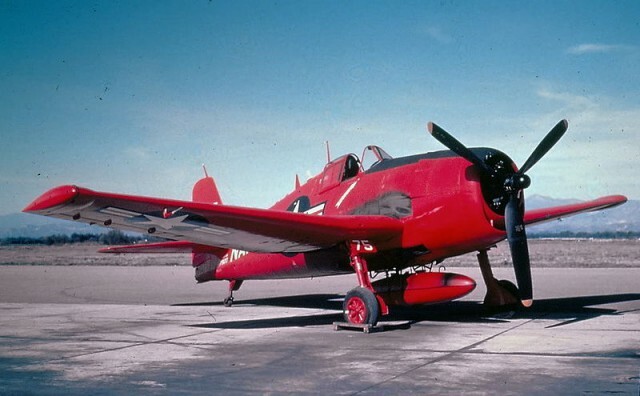 On 16 August 1956, a Grumman F6F-5K drone (also known as the WWII Hellcat) sat on one of their runways, painted bright red for extra visibility. At 11:34 AM, radio controllers launched it into the air, then sent it south toward the Pacific Ocean so the navy could shoot it down. But the drone had other ideas. It veered to the left and continued to climb, heading southeast toward Los Angeles. The operators had lost control. Enter Oxnard Air Force Base. 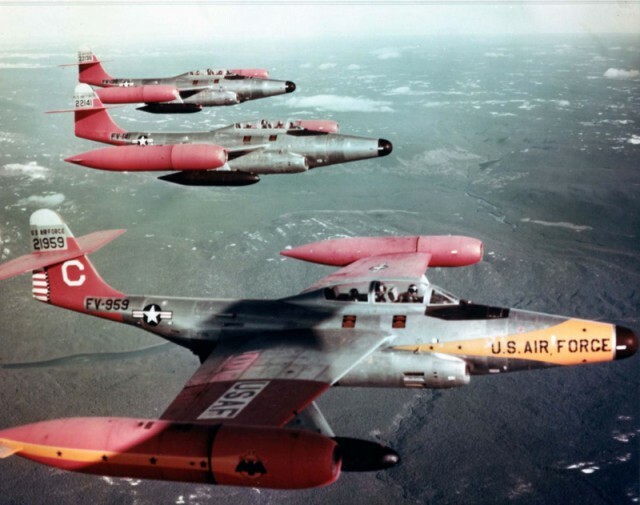 The 437th Fighter-Interceptor responded by sending out two of its Northrop F-89D Scorpion twin-jet interceptors. The first jet-powered planes that could handle all types of weather, they were the most advanced aircraft of their time. They were also the first with computer-guided missiles, so what could possibly go wrong? Manning the first Scorpion were First Lieutenant Hans Einstein, the pilot, and First Lt. CD Murray, the radar observer. Following them were First Lt. Richard Hurliman and First Lt. Walter Hale. Their orders were simple: take down the drone before it crashed into a populated area. They reached the Hellcat to the northeast of Los Angeles at 30,000 feet. In response, it veered southwest, flying directly over the city before banking northwest toward the Santa Clara River Valley. It continued on till Santa Paula, the “Citrus Capital of the World,” and slowly circled above the city. The pilots waited, praying it wouldn’t crash into the buildings below, hoping it would veer off again toward the countryside. Their prayers were answered. The drone headed northeast, zoomed over the city of Fillmore, then over the suburb of Frazier Park, and made a beeline toward Antelope Valley. The pilots heaved a sigh of relief. 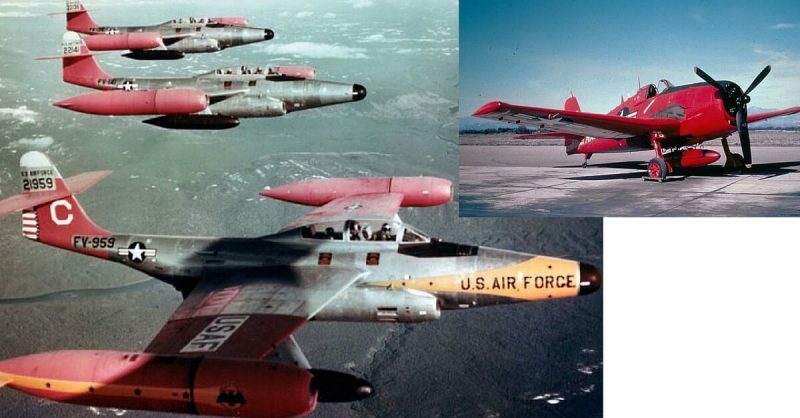 They could finally take the thing down with their Mk 4 Folding-Fin Aerial Rockets (FFAR), also called the Mighty Mouse Rockets. The Scorpions were not equipped with machine guns or cannons. They had two options by which to fire them with: use their computers or fire them manually. Because the drone was so erratic, they chose the former. The Scorpions had the new Hughes E-6 fire control system and AN/APG-40 radar, which were guided by an attack-plotting computer. All the pilots had to do was get the drone in their sights and fire. However the Hellcat chose to zig or zag, the computer would take care of it. So they fired. And nothing happened. So they tried again. Nada. A design flaw in the fire control system wouldn’t launch the rockets. No problem. Switch to Plan B and fire their rockets manually. So they looked into their gunsights to aim… and discovered that they had a problem. No gunsights. To put in the new state-of-the-art Hughes E-6 system, the installers had to remove the gunsights. So now they had to aim without any sights at a flying object that kept changing course while they themselves were in constant motion too. Fortunately, each F-89D came armed with 104 rockets each, and they only needed one to bring the drone down. What could possibly go wrong? Bored with Antelope Valley, the drone veered south, heading back toward Los Angeles. As it passed over rural Castaic to the north of the city, the pilots fired 42 rockets. They passed beneath the drone, a few whacked the underside of the plane’s fuselage, but none detonated. Offended, the drone headed toward the town of Newhall. The interceptors replied by firing 64 rockets… none of which made a hit. The Rogue Drone veered away again, this time northwest toward the city of Palmdale. The interceptors fired their remaining 30 rockets… still no hit. The interceptors had run out of missiles – all 208 of them. They were also running out of fuel, forcing them to go back to Oxnard. The Hellcat had finally made up its mind. Running out of fuel, it flew toward Palmdale. The Palmdale Regional Airport came in sight as it ran out completely – thus sending it on a downward spiral of doom. It cut through three Southern California Edison electric cables along Avenue P some eight miles from the airport. Its right wing hit the sand first. It flipped over, smashed into the desert, did several cartwheels before slamming into the ground where it flew apart into so many pieces, it was only in 1997 that archeologists found the remains. Although the pilots hit nothing in the air, the ground was another thing completely. Fifteen rockets didn’t go off but the rest did. Castaic saw 150 acres go up in flames. At Placerita Canyon, one rocket bounced along the ground, setting off a series of fires, one of which ignited some of the Indian Oil Co.’s oil sumps. At Soledad Canyon, 350 acres were set ablaze. Newhall wasn’t hit, but it had to deal with the smoke. The Hellcat hadn’t hit Palmdale, but some of the rockets had, starting fires in and around the city. A piece of shrapnel shot through the window of Edna Carlson’s house, bounced off her ceiling, burst through a wall, and finally parked inside one of her kitchen cabinets. More fragments punched through JR Hingle’s garage, shot through his living room, and nearly hit his wife. Larry Kempton was driving on Palmdale Blvd. with his mother when a rocket exploded in front of his car. It took out his left tire, radiator, hood, and windshield. At Placerita Canyon, two men had just left their truck to have lunch when a rocket blew it up. It took two days and 500 firefighters to put all the fires out, and explosive ordnance disposal teams to remove 13 duds around Palmdale. Incredibly, no one was seriously hurt or killed. The Battle of Palmdale confronted the US Air Force with an embarrassing fact – that two of their latest, state-of-art interceptors couldn’t bring down an obsolete, pilot-less propeller-driven plane. California faced a red menace that day, but it wasn’t communist.